We’re on our annual skiing holidays in Italy and it’s great to be back. Serrada feels like home after visiting it for so many years and as we consider skiing somewhere else next year, it also feels nostalgic spending our last winter here. Besides skiing and snowboarding, lots of board games, playing cards, pizza and cioccolata calda con panna is planned. 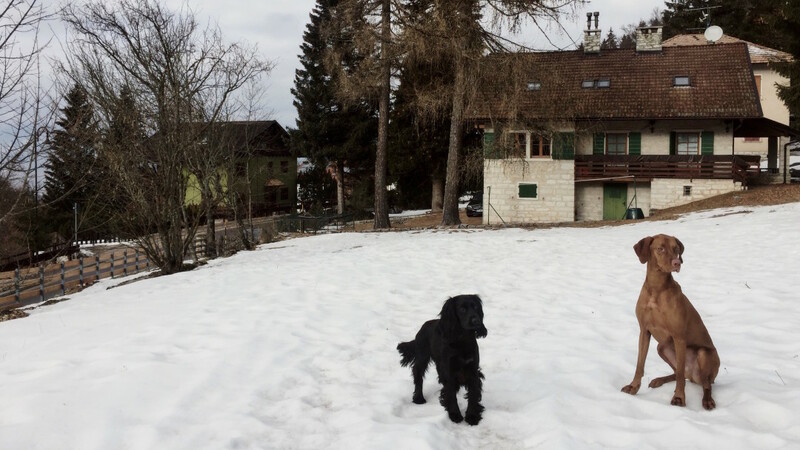 Our dogs are joining us as per usual and love our cozy Villa Gentilini, where we’re staying this year. Would definitely recommend it if you’re looking for a nice place around Folgaria ski resort. Haha, thanks – we love them too much.